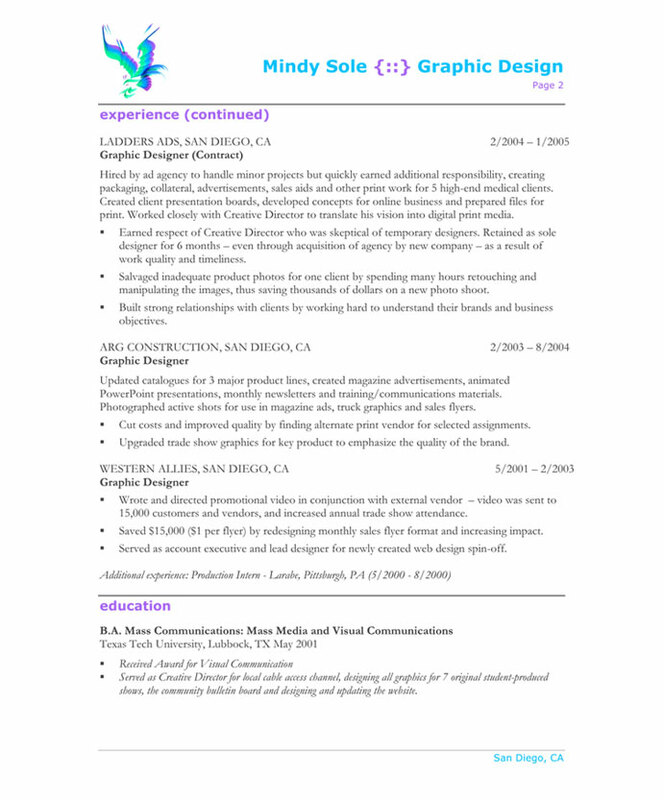 It’s important for designers to know that they absolutely must have a resume in MS Word. 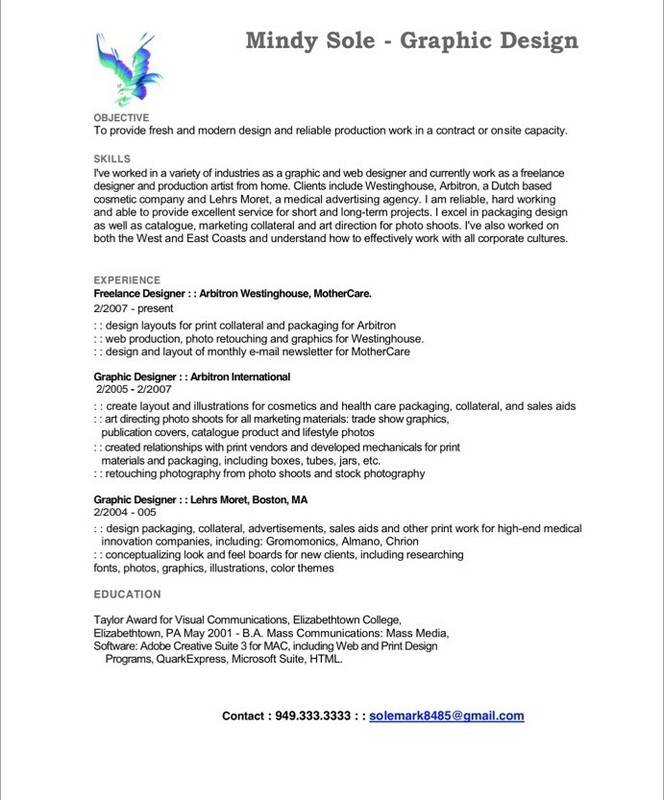 if you create a resume in Illustrator and do a lot of great design stuff on it before turning it into a PDF, lots of applicant tracking systems won’t be able to read it. Your resume won’t be stored in databases and therefore you won’t be contacted about new opportunities. Unfortunately Word is quite limiting in terms of design – but there are things you can do as in this case. 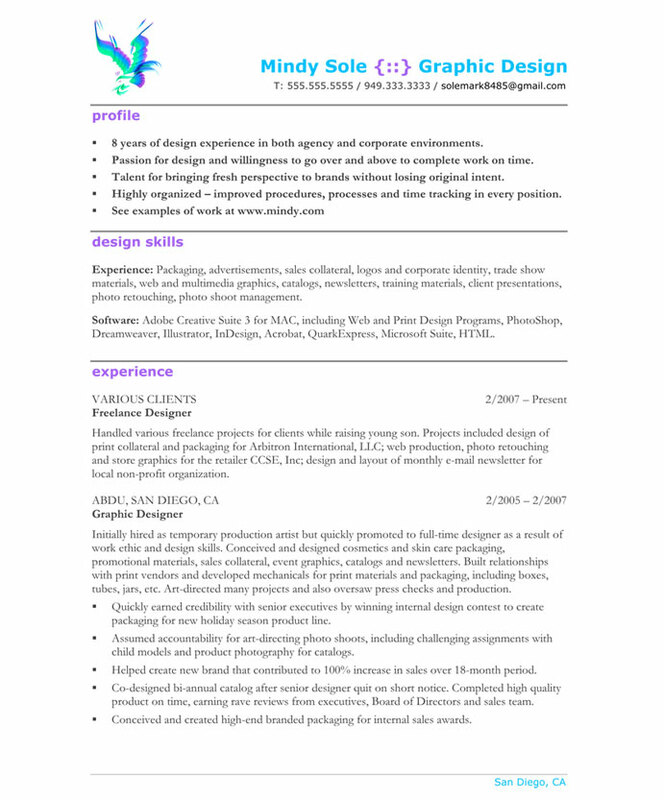 We used Mindy’s own design and then carried the same colors throughout the resume to keep a consistent look.